Little, Brown and Company, 9780316231435, 464pp. 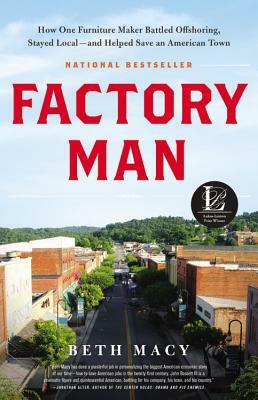 Beth Macy won the J. Anthony Lukas Work-in-Progress Award, a joint project of the Columbia University Graduate School of Journalism and the Nieman Foundation for Journalism at Harvard for "her extraordinary reporting and narrative skills" and her work on Factory Man. The daughter of a factory worker, she writes about outsiders and underdogs. Her articles have appeared in national magazines and the Roanoke Times, where her reporting has won more than a dozen national awards, including a Nieman Fellowship at Harvard. She lives in Roanoke, Virginia.